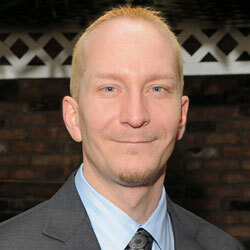 Any licensed private investigator will tell you the difficulty of dealing with cheating spouse cases. Of all possible assignments, infidelity investigations are some of the most emotionally-charged and potentially problematic. It is crucial for any investigator who regularly accepts adultery cases to fully understand the psychological needs of their clients, as well as the legal and ethical demands of the case. This essay provides an overview of investigative infidelity assignments and provides guidance for detectives and clients alike. When a person feels that they have a cheating husband or cheating wife, they are most likely devastated emotionally and may be prone to unpredictable behavior. Any working investigator must make it clear that the client should not become involved in the actual investigation, nor say, or do, anything to arouse the suspicion of the target. Professional investigators must talk to the client carefully to find out as much information about their target as possible, without causing the client undue emotional injury or pain. Most of all, the investigator should be professional, polite, understanding and sympathetic to the client, since they are in a time of great sensitivity and often need psychological reassurance. Once the assignment is underway, the investigator must check in with their client regularly to keep them updated on the case progress. If a major development occurs, the investigator must remind the client not to show the target that they have been definitely caught cheating, until the investigation is over. It is crucial to document enough unfaithful activity, using photographs and video surveillance, to fulfill any legal evidence collection requirements, in case of upcoming divorce litigation. Once the case is over and all evidence is turned over to the client, the investigator should make themselves available to answer any questions and concerns, even if the actual job is finished. This is a common courtesy and the mark of a true professional. 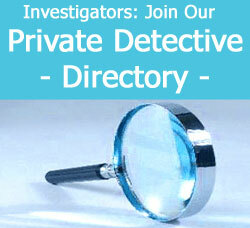 Infidelity and divorce investigations are a mainstay of many private detective careers. Treating clients with respect and dignity will ensure many recommendations and may even lead to follow-up work for the investigator. After all, if a spouse has been proven unfaithful, divorce may follow. It is usual for child custody investigations and asset investigations to be commissioned during divorce proceedings. If the investigator has done their job correctly, there will be no doubt who the customer will call when and if these services are required.